Dr. Kenneth James stood behind the pulpit at Church of the Spirit and smiled at the congregation. It was one of the first Sundays of the year to feel like spring and the crowd was sparse; about 40 people had trickled in during the morning meditation. “When you talk to someone about Spiritualism,” James began, “a lot of times they’ll say – ‘Isn’t that all about talking to dead people?’” He paused, letting the crowd chuckle at his remark. He asked what was wrong with that question and the answer came quickly from one of the front pews: it’s impossible to talk to dead people because there is no death. Spiritualism is based on the concept of a “continuity of life,” in which death is only a transition to another state of being. Spiritualists believe that intuitive people known as Mediums can receive messages from the spirit world and deliver them to people in this one. This idea captivated Americans in the 19th century when the sisters Leah, Kate, and Maggie Fox of Hydesville, New York, traveled the country showcasing their apparent ability to commune with the dead through mysterious knocking sounds. The Fox Sisters were widely discredited in their lifetime, and for most people their legacy is a dim historical footnote. But not everyone believes they were frauds. 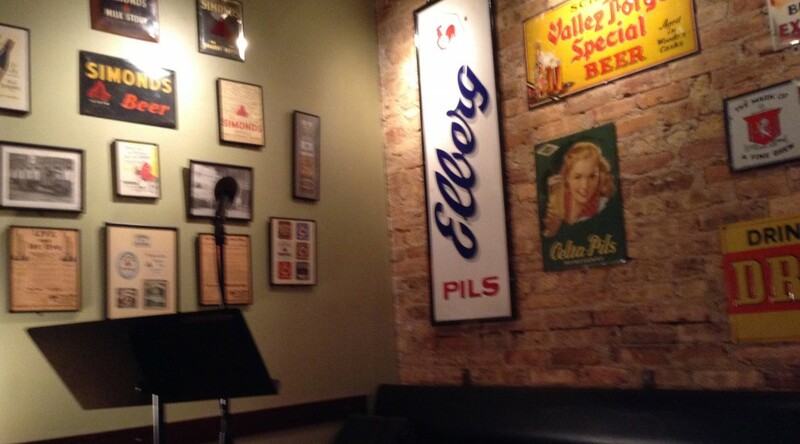 Does Chicago have too many literary magazines for its own good? American readers met Holden Caulfield in The New Yorker. In 1946 the iconic teenager appeared in J.D. Salinger’s story “Slight Rebellion off Madison,” five years before The Catcher in the Rye was published. This is what literary magazines are for – helping writers develop their craft, and introducing readers to what’s next. Chicago is also a creative incubator. Windy City publishers are historically drawn to new and groundbreaking work. Over the last 100 years, norm-shattering literary magazines have proliferated to the point where they have (somewhat ironically) become the norm. 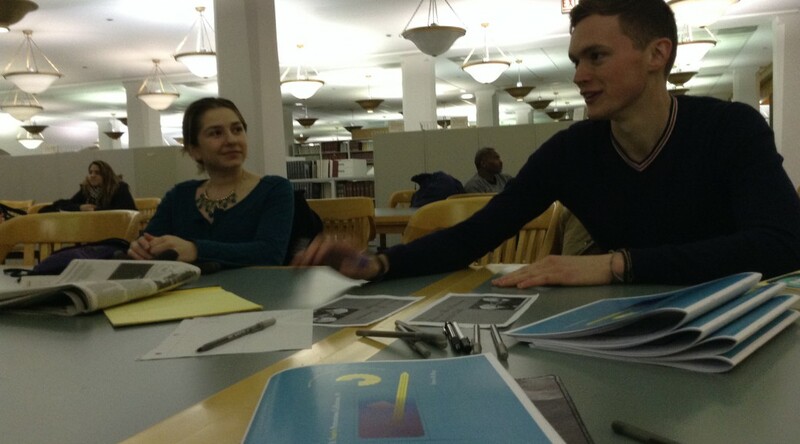 On Valentine’s Day the members of the Soon-To-Be-Pretentious Writers Club were scattered throughout the Harold Washington Library Center judging books by their covers. 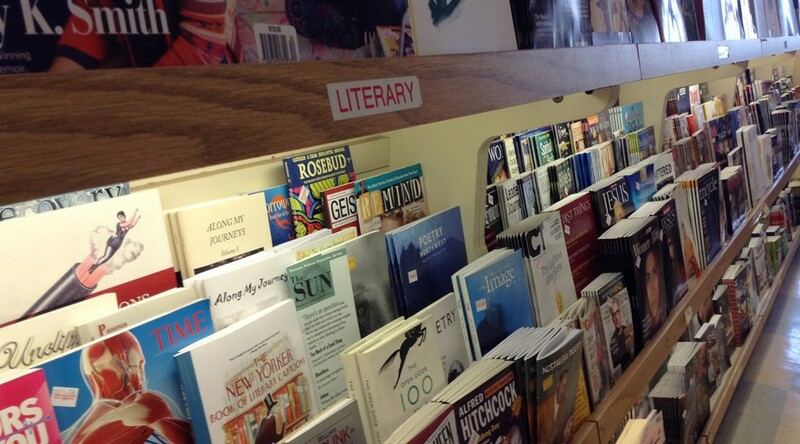 Once a month, the writers meet at the library, comb the shelves for books that appear compelling, and write original stories based on their selections. After a year of meetings, founder Greg Fairbank decided they had enough material to publish their own magazine. Midway through Daniel Pearle’s “A Kid Like Jake,” a pregnant woman is asked if she’s hoping for a boy or a girl. It doesn’t matter, she says, as long as it’s healthy. But we already know this to be misleading. The play’s expectant couple live in a world where toddlers are touted as prodigies and phrases like “the Harvard of preschools” abound. In this world, it’s not enough for children to be healthy. They must be exceptional. 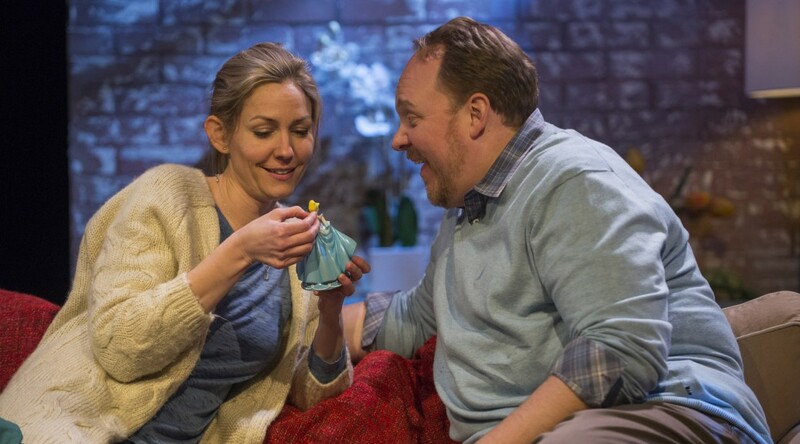 The play follows Alex, a well-bred blonde Manhattan mom (Katherine Keberlein), and her therapist husband Greg (Michael Aaron Lindner) as they scramble to get their 4-year-old son, Jake, into an elite private school. The rigorous application process and the notion of paying $20,000 for kindergarten will be cringingly familiar to some audience members, anthropologically foreign to others. 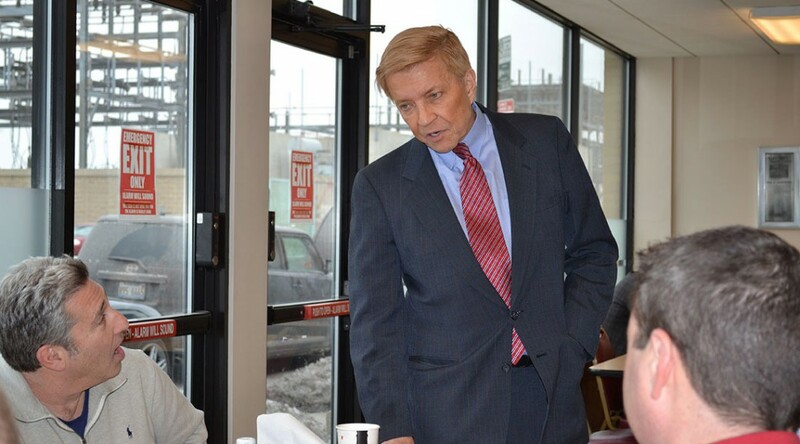 Alderman Bob Fioretti began his morning as many Chicagoans did- -by heading to the polls. He cast his ballot at his own polling place, an assisted-living facility at 1504 W. Van Buren, alongside fiancee Nicki Pecori. 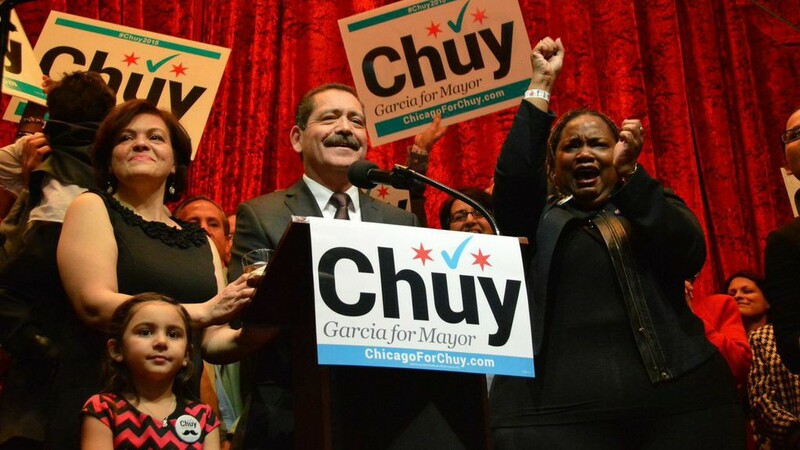 He remained optimistic about his own election day prospects, in spite of a recent Chicago Tribune poll giving him only 7 percent of the vote. “I think we are going to be in the run-off,” he said. “I think it looks pretty good,” he said. The theater is a place to ask questions, and the writers in this year’s Young Playwrights Festival weren’t afraid to tackle some of the biggest ones head-on. The four winning entries of Pegasus Theatre Chicago’s annual high school competition just closed their run at Chicago Dramatists in River West under the title “Something Wicked Interferes.” While vastly different in subject, all four used the surreal and supernatural as tools to chip away at the veneer of everyday life. In “A Matter of Life (& Maybe Death)” by Deja Jenkins, a coma-stricken teen plays cards with the grim reaper. In Daisianee Minenger’s “Dare to be Different,” a child-like narrator uses nursery rhymes to tell a story of gang politics in Detroit. Taylor Vazquez’s “Dirty Spoons” is a trenchant spoof of reality TV. And in Steve Maloy’s “A Day at the Office,” an advertising executive considers selling his soul to the devil (a sharp-dressed charmer who informs him that both Heaven and Hell are owned by Halliburton). There’s something about holding a book – cracking the spine, thumbing through the pages, feeling the weight of it in one’s hands – that is essential to the act of reading itself. 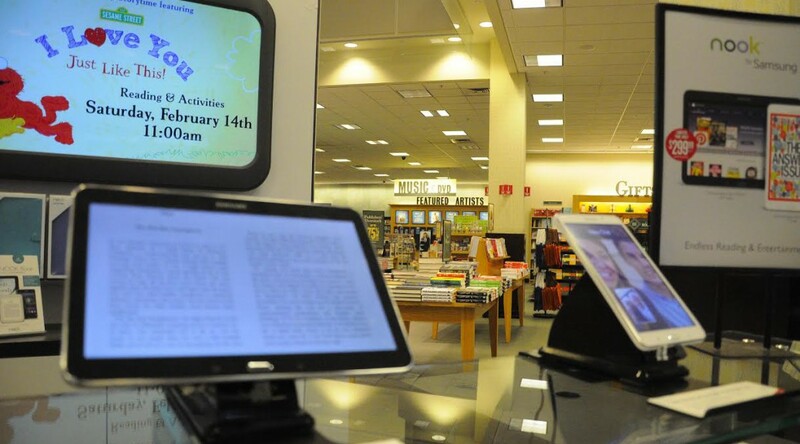 The sale of electronic books skyrocketed after Amazon introduced the Kindle in 2007. E-books went from accounting for .05 percent of adult trade sales in the early 2000s to 27 percent last year. The struggling publishing world was rejuvenated, with independent publishers especially benefiting from what became a simple, low-cost way to expand their market reach.